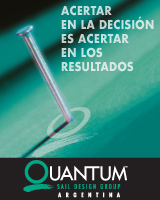 Star Midwinter Championship en Miami, triunfo para Paul Cayard y Magnus Liljedahl. 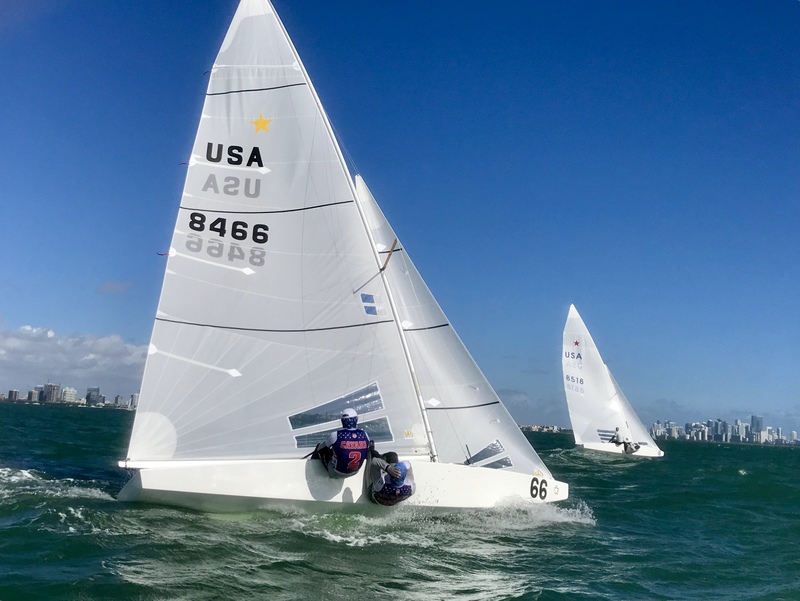 Forty-two teams, from twelve countries, were graced by spectacular conditions on Biscayne Bay for the four-day Star Midwinters. The last event of the Star Winter Series attracted legends of the Class, as well as a number of younger teams who stayed on in Miami after the Junior Worlds. The last two days brought winds gusting above 20 knots, and teams enjoyed blasting down waves and thrilling reaches back to the club. 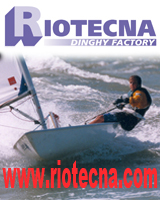 The eight race event, is one of the hardest regattas to win on the circuit with no drop race. The championship came down to the last race with Paul Cayard and Magnus Liljedahl (USA) taking an early lead and Doyle and Infelise (USA) meeting with disaster and losing their rig, enough for Cayard and Liljedahl to take first honors. The early part of the regatta brought sunny skies and medium breeze in all but one race. The Race Committee had to tone down the fleet after a number of general recalls, U Flags, and ultimately black flags to get races off. In race one, Cayard and Lilgedahl led at the top mark, but Doyle and Infelise played the right side on the downwind for pressure and stayed longer there passing Cayard and Grael. When asked about his team’s kinetics on the downwind, Infelise remarked, “It’s been a while since we’ve been in the boat together, so just getting back into the groove.” Get back into the groove they did, winning not only the first race, but half of the races in the series, in a variety of conditions. Day one also saw reigning European Champions, Augie Diaz and Bruno Prada win race two. Day three of the regatta, started with a postponement on shore due to storms around the bay. When the AP was lifted, teams sailed slowly downwind to the race course. By the time the first race started, the breeze built to a healthy fifteen knots and building chop. Race five was owned by birthday boy Lars Grael, sailing with perennial crew, Samuel Gonçalves. An elated Lars remarked how fortunate he was to do what he loves best on his birthday – sailing the Star in big breeze, with his friends, his crew Samuel, and his family there with him. His son, Nicolas was still in Miami, after placing fifth in the Star Junior Worlds earlier in the week. Doyle and and Infelise went on to take their fourth win of the regatta in race six, where the breeze had built to more than 20 knots. Breeze was on for the final races, with big waves building on the lower end of the course and winds averaging 18 knots. In race seven, Hornos, despite claiming in the morning that he was too tired after six straight days of Star racing to perform well, found himself in the lead at the top mark with the O’Leary’s, Cayard, and Doyle hot on his heels. On the downwind, Hornos sped away, attributing his gain to separating from the group and being able to drive where he wanted and surf waves. He noted that his crew, the young Brazilian Pedro Trouche, “is the best. All the Brazilian crews are really good downwind. Pedro is super physical, getting the boat on the waves and keeping the boat surfing.” Lars Grael, met misfortune with a broken forestay and had to retire from races seven and eight, taking him out of the mix. Doyle and Infelise finished third after the O’Leary brothers, and Cayard and Lilgedahl were right there in fourth. It came down to the wire in the final race, with Cayard only two points behind Doyle. Hornos and Trouche, avoided disaster narrowly missing a long anchor line at the pin end, slowing them off the start. Cayard and Lilgedahl nailed the start and led comfortably at the first mark. As fortune would have it, Doyle and Infelise rounded the top mark in fourth, but a port tack boat, coming up wind, was unable to avoid the pair. The two rigs collided, resulting in both boats losing their rigs. Cayard and Liljedahl went on to take the win. In the end, after redress earning them an average of 3.4 points for the regatta, Doyle and Infelise brought themselves back to second place overall, but it was Paul Cayard and Magnus Lilgedahl who claimed victory. Ireland’s Peter and Robert O’Leary finished third to round out the podium.